Sarine Technologies create analytic equipment for the diamond industry. One of their widely used technologies is a non-contact measuring device known as the Sarine DiaScan. 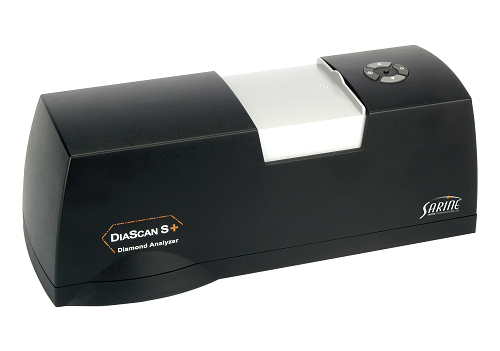 The DiaScan uses sensitive digital photography which can measure every facet of a diamond with complete accuracy. Lasers map out the exact proportions of the diamond with an accuracy of within 20 microns. This level of accuracy is equivalent to the width of a third of a human hair. After these measurements have been obtained a virtual, 3D model of the diamond is formed using the data. The measurements are then processed into the Sarine DiaMension software programme to produce a number of different graphics and reports which pertain to the diamond. The primary file that is produced, an srn file, can also be read by other diamond speciality software programmes. These can be used to generate other diagnostics of the 3D model. You may sometimes see this technology referred to as ‘Sarin’. It describes the same model; however, the company officially changed their name to Sarine as of January 2014. Multiple reports can be generated after the diamond has been scanned using the DiaScan tool. A great example of this come from ideal-diamond experts Whiteflash. 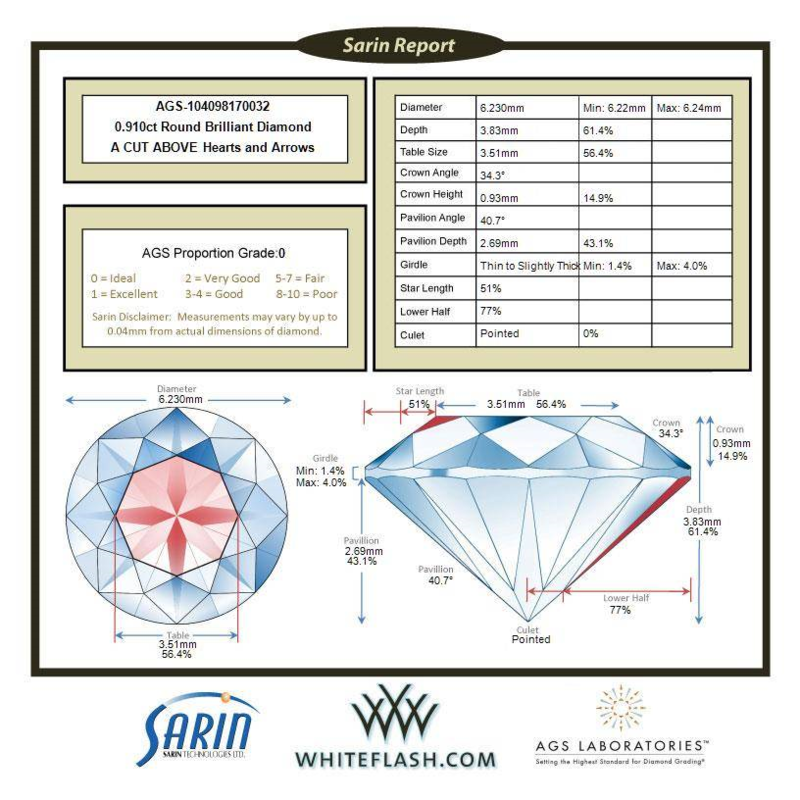 Whiteflash produce a modified version of the Sarine report which can be found on their diamond detail pictures (as pictured below). This report is presented in a basic format, offering the key data in a simplified, easy to understand graphical format. 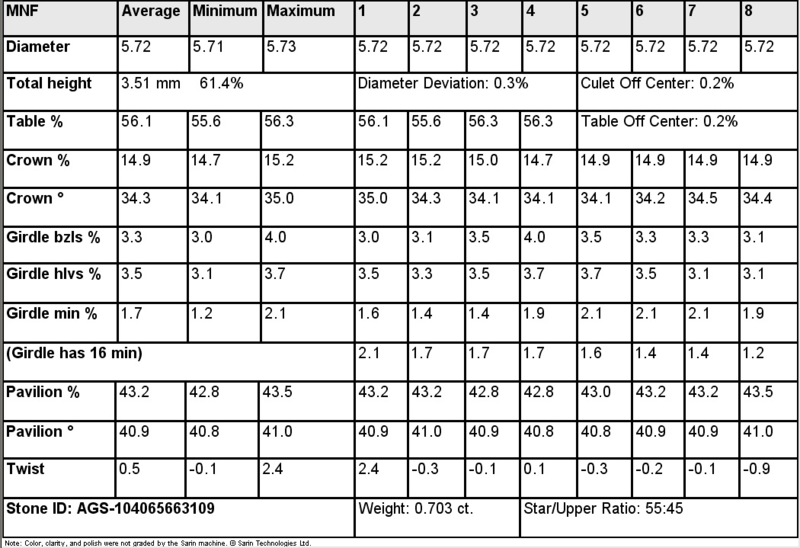 Unlike the basic report, the advanced Sarine report shows the detailed measurements of all of the facets on the diamond, not just the averaged measurements of the key facets. Will a Sarine Report be Useful to me? 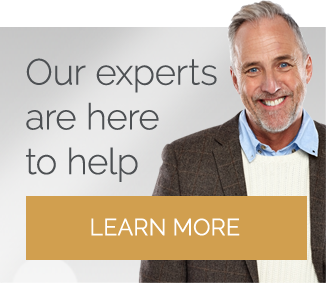 You may be wondering if a Sarine report will be useful to you while shopping for a diamond. Afterall, a GIA report already gives you a condensed, simplified version of the Sarine report data. In truth, a Sarine report gives a level of detail and accuracy that a GIA report neglects. 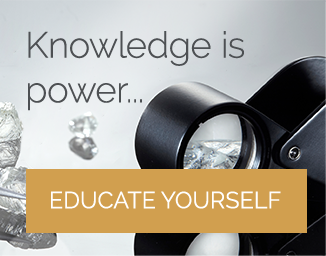 The GIA methodology gives you the crucial information in an easy to read format, however these averaged measurements cannot tell you how precisely the diamond has been cut. Not only this, but a Sarine report also presents important information about how well the diamond facets sit with one another and how precisely they meet at their points. These are small details but they can ultimately lead to big differences when it comes to matters of beauty and light performance. Another instance in which a Sarine report would be useful, would be when trying to interpret a report from a lesser respected diamond grading lab (for example, IGI or EGL). My experience of these lab reports has not been positive, and I generally find the gradings that are given are inaccurate. 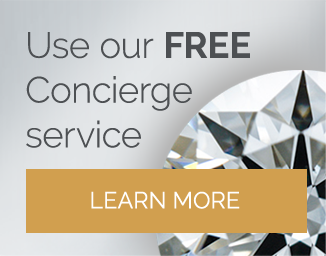 They tend to fall short of the levels of precise data that is required in diamond buying. Obtaining a Sarine report for one of these diamonds would allow you to see the exact data and subsequently extract important information about the diamonds cut and light performance properties. To learn more about the importance of the light performance images and HD Videos read my next article here.